After a creative night we left the village early, walked over the flat country until we came to Orbigo, a village with one of the oldest and longest bridges in Spain, the 'Field of Honour’ . The story is that a knight, spurned by his love, challenged every knight who came over the bridge, from all over Europe, breaking 300 lances to ensure that his honour and his hurt feelings were restored. 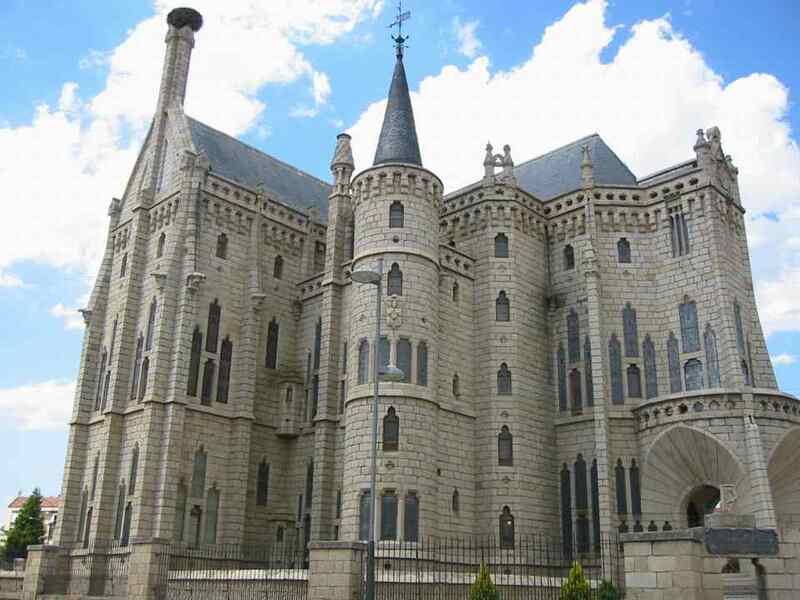 On this day we walked 30 km into Astorga. This was the longest distance so far. We have decided that our individual walking styles are equivalent to a marathon runner and a sprinter – you can guess which is which. and the cathedral on our way out of town. We were drawing ever closer to the mountains through the most lovely countryside and climbed steeply steeply to Rabanal del Camino at 3,000 feet. We stayed in a restored seventeenth century pilgrim hospital. It was Ascension Day and we went to vespers and compline, sung by Benedictine monks in a very ancient church. In the morning we continued to climb steadily to the highest point of the Camino, the Iron Cross (Cruz de Ferro). It was a morning of reflection and thanksgiving. We were reluctant to leave the mountains and decided to stay the night at El Acebo, where we received the warmest hospitality of our whole walk. Our joy was complete when we helped ourselves to muesli at breakfast, a standard pilgrim breakfast being a doorstop ‘pan tostado’. We were set up for the day to walk through deep valleys and chestnut groves to Molinaseca where, for the first time since the Pyrennees , there was a massive thunderstorm and downpour. At Ponferrada the following day we stopped outside the wonderfully restored Castillo de los Templarios and then continued on to Villafranca del Bierzo where there is a Romanesque church of Santiago with a ‘door of forgiveness’ for those pilgrims too ill to complete their journey. Feeling full of life we headed into a new range of mountains the next day. Crossing the border into Galicia, which was a total contrast to anything we had experienced, Judith proved her credentials as the fittest woman on the Camino by climbing 8 km up the mountain into O Cebreiro. Breakfast here was unforgettable. There was a huge number of people looking extremely tired and weatherbeaten, including ourselves, crammed into a small, steamy, low-beamed room, fortifying ourselves with strong coffee before we set off into the mists and rain, to encounter the giant on the Alto san Roque . . .